The Most Comfy Seat In The House! 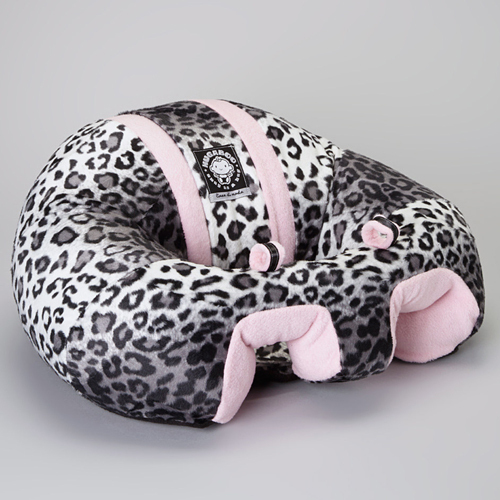 As cute and snuggly as your baby is, you’ll need to put him or her down eventually. 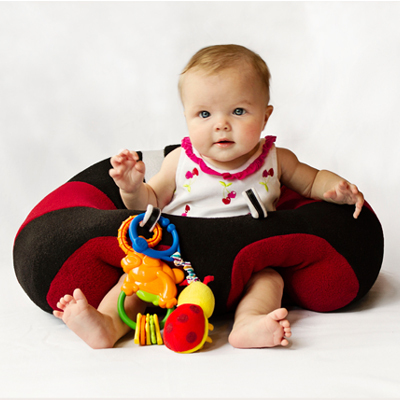 If your baby isn’t in your arms, you’ll want them in the next best place–The Hugaboo Baby Seat. 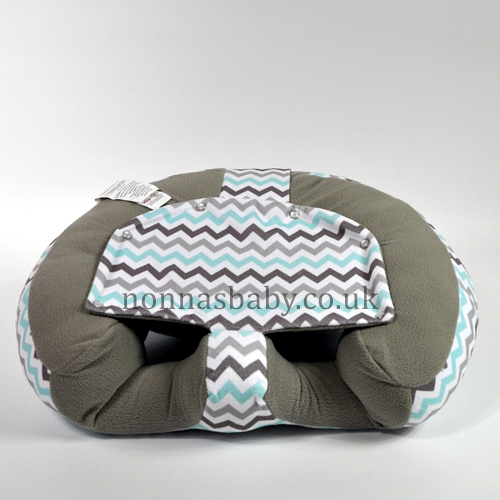 It’s the perfect way to give your baby the support needed as they learn to sit up on their own. 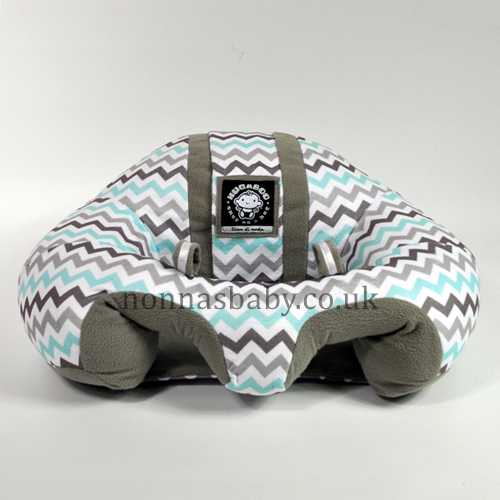 The Hugaboo gives your baby the freedom to comfortably observe their surroundings, develop sensory and motor skills, and spend quality time with the family. 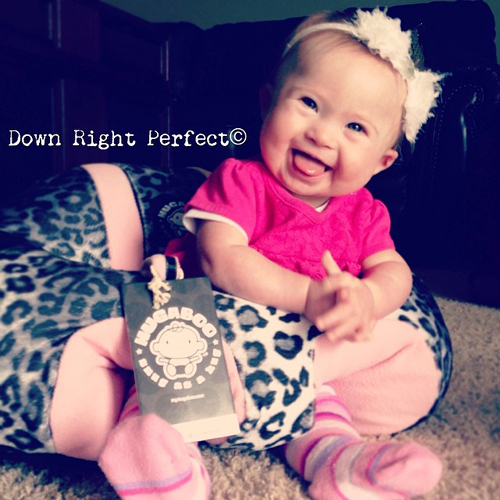 Plus, the Hugaboo has a unique leg and back support that keeps your little one from tipping forward or sliding out. IMPORTANT SAFETY INFORMATION: Floor use only. Adult supervision required. Do not allow infant to sleep in product. 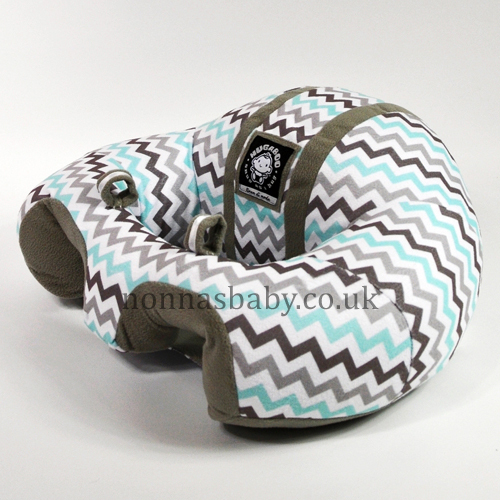 Infant must be able to support their own head before using. Do not leave infant in seat for extended periods of time. What is the recommended age for the Hugaboo Baby Seat? They can be used as soon as baby can support their own head. 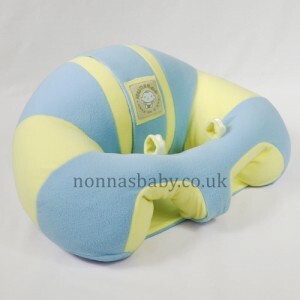 As a guideline the age range is from around 3 to 10 months. 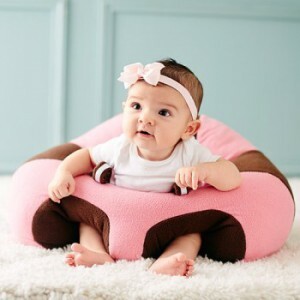 Will the Hugaboo teach my baby to learn to sit upright on their own? 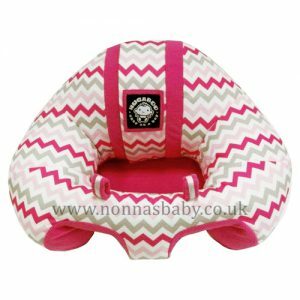 The Hugaboo baby seat wasn’t developed to teach babies to sit upright on their own, but to allow mums to put their baby down in a soft and cosy environment. It is meant to give mums a little freedom, but with the knowldge that their baby is safely and comfortably within reach. It is not intended to teach a baby to sit upright. What materials are the Hugaboo Baby Seat made with? 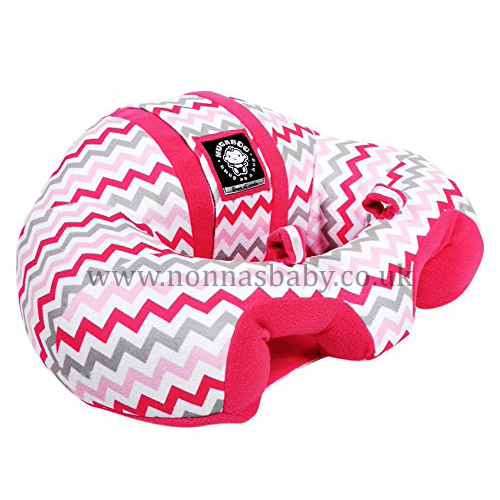 It is made from 100% polyester fabric with polyester fiber fill, and a spot washable cover for easy clean up. 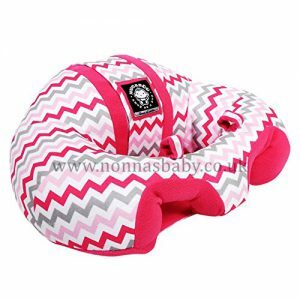 Hugaboo Baby Seat care instructions. The Hugaboo baby seat can be placed by itself in a front loading washer machine. Machine wash cold water, delicate cycle. Thoroughly dry Hugaboo infant seat at normal setting in dryer.